On the auspicious occasion of the 70th Republic Day of India on January 26, 2019, I extend warm greetings and best wishes to all members of the Indian community living in the Sultanate of Oman. On behalf of the government and people of India, including Indians living in Oman, I thank His Majesty Sultan Qaboos bin Said and the government and people of Oman for the warm hospitality extended to the Indian community in Oman. May His Majesty the Sultan stay blessed with a long and healthy life and Oman have continued peace, progress and prosperity! Sixty nine years ago i.e. on January 26, 1950, the Republic of India was born and the people of India gave themselves the first constitution of an independent India, reflective of their hopes and aspirations. In celebrating our 70th Republic Day, we also celebrate our achievements of last seven decades. India is the largest democracy in the world with about 1.3bn Indians working together to fulfil their aspirations. Indian economy has witness sustained high growth and is the fastest-growing major economy of the world. With socio-economic reforms taking place at an incredible speed and scale, a ‘New India’ is taking shape. In just two years, India has jumped up 53 positions from 130th to 77th rank in the World Bank’s ‘ease of doing business’ index. Fueled by energy of India’s overwhelmingly young population and riding on its scientific and technological prowess, India is emerging as a global hub for innovation, start-ups and manufacturing. Today, the world acknowledges India’s expertise and capabilities in diverse areas including space, nuclear energy, information technology, biotechnology, and pharmaceuticals. Yet, the country is not oblivious to the challenges before it and the enormous efforts still required to achieve a truly-inclusive growth and prosperity for every Indian. This would require the government to act together with the people of India. I call upon my fellow members of the Indian community living in Oman to complement the efforts of the government of India in whichever way possible. I invite you to participate in, support and benefit from various flagship programmes being undertaken by the government such as ‘Make in India’, ‘Digital India’, ‘Skill India’, ‘Start-up India’, ‘Clean India’, as well as projects to develop smart cities, roads, ports, airports, railways, waterways, industrial corridors, etc. I arrived in Muscat in August 2018 to assume charge as the new ambassador of India to the sultanate. Within this short period, I have felt the warmth and affection that the people of Oman have towards India as well as the strong desire of the Omani leadership to strengthen ties with India. These sentiments are fully shared by the government and people of India. The sultanate is a strategic partner and trusted friend of India. With a history of maritime trade and people-to-people exchanges tracing back to over 5,000 years, India and Oman have significantly expanded their bilateral cooperation since the establishment of diplomatic relations in 1955. Under the guidance of His Majesty the Sultan and the leadership of India, bilateral relations have evolved into a mutually-beneficial strategic partnership. Regular visits and exchanges, including at the highest levels, are a key feature of this partnership. There are strong convergences in the interests and approaches of the two countries. Our relations have gained a new momentum with the successful visit of Prime Minister Shri Narendra Modi to Oman in February 2018, during which agreements/memorandums of understanding were signed for bilateral cooperation in various areas, including defence, health, tourism and space. Since then, there have been several ministerial and high-level visits between the two countries. Defence cooperation has emerged as a key pillar of the strategic partnership. High-level visits and talks between the Ministries of Defence of the two countries take place regularly. The Minister Responsible for Defence Affairs in Oman visited India in September 2018. The Joint Military Cooperation Committee (JMCC) met in Muscat in November 2018. India and Oman regularly conduct joint exercises of all three defence services - Army, Navy and Air Force. We also cooperate closely on security matters, including counter-terrorism. Both India and Oman accord high priority to enhancing bilateral economic and commercial relations. The visit of the Minister of Commerce & Industry and Civil Aviation of India to Oman in July 2018 and the holding of the 8th India-Oman Joint Commission Meeting has reinvigorated the interest among business communities to engage with each other. Bilateral trade is growing and reached US$6.7bn during April 2017-March 2018. Investment flows, both ways, have been robust, as reflected in numerous joint ventures, established both in India and Oman, and regular fresh investment announcements. 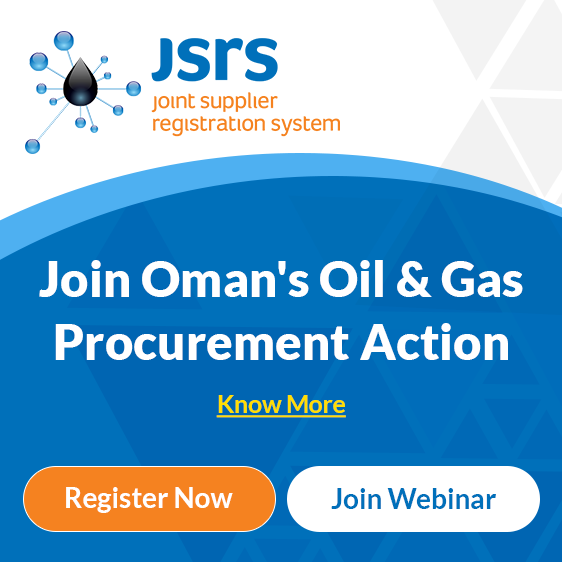 It is estimated that there are more than 3,200 Indo-Omani joint ventures in Oman. There is tremendous opportunity for expanding cooperation in areas like food security, training and skill development, power and renewable energy, development of SMEs and start-ups, space applications, IT & IT-enabled services, health-care and pharmaceuticals. India has always been a close partner in Oman’s growth story. The Embassy of India in Muscat encourages Indian companies to participate in sectors prioritised by government of Oman under its National Programme for Economic Diversification (Tanfeedh), including minerals and mining, logistics, tourism and manufacturing as well as free-zones and special economic zones. Indian enterprises are among leading foreign investors in Sohar and Salalah free-zones. Indian companies are also investing in the Special Economic Zone of Duqm. India has been sharing its development experience and contributing to the capacity building of Oman through the Indian Technical & Economic Cooperation (ITEC) Programme which enables Omani officials to participate in training programmes in premier institutes of India. Maritime links between India and Oman, since the Indus Valley Civilisation, have been a defining feature of the historical ties between the two countries. Recently, in November 2018, celebrating the historical maritime links, Indian and Omani ships undertook a joint tall ship sailing expedition from Kochi in India to Muscat and re-traced the ancient trade routes on the occasion of tenth Anniversary of the Indian Ocean Naval Symposium. Naturally, strong people-to-people ties have been a key element of contemporary India-Oman relations. There are Indian families living in Oman for 150-200 years. A positive development in this sphere is the increase in flow of tourists in both directions. In recent years, India has emerged as a preferred destination for medical and wellness tourism, with thousands of Omanis choosing India for their medical treatment at various state-of-the-art hospitals every year. Introduction of e-visa system, which allows an Omani to obtain tourist/medical/business visa for India online without having to visit any office, has made travel to India easier. Given these strong linkages, the peoples of Oman and India are well familiar with each other’s culture. The 800,000 strong vibrant Indian community in Oman has been nurturing and promoting Indian culture. The rising popularity of yoga in Oman is reflected in the increasing number of participants in the celebration of International Day of Yoga, on June 21 every year, with over 5,000 participants in 2018. The Embassy of India in Muscat is organising a series of activities marking a two-year long celebration of 150th birth anniversary of Mahatma Gandhi. The celebrations in Oman were launched on October 2, 2018, with a mega event in which over 1,500 persons participated and graced by H E Sheikh Mohammed bin Said bin Saif al Kalbani, Minister of Social Development, as Chief Guest. The Embassy of India in Muscat, remains committed to catering to the needs of the Indian community in Oman by delivering consular and community welfare services in an efficient and timely manner. The embassy has a 24x7 helpline for Indians in distress; it holds daily Open Houses and provides legal consultations. We have made special efforts to reach out to the Indian community living in other cities and distant camps. The Government of India is thankful to the Government of Oman for the excellent support and cooperation extended to the Indian Embassy in its efforts towards providing community welfare services and upholding the rights of Indian workers provided under Laws of Oman. The embassy also works closely with the Indian Social Club Oman, its various branches and linguistic wings, and other Indian community groups that are engaged in providing social services and organising cultural events. My dear fellow members of Indian community in Oman, I once again extend my heartiest felicitations to you all on this 70th Republic Day of India. I thank you for your hard-work, contributing to the growth and development of both India and Oman as well as strengthening of India-Oman relations. I look forward to your continued support to Indian Embassy’s activities and endeavours. I also look forward to working closely with the people and Government of Oman to further deepen and diversify India’s strategic partnership with the sultanate.